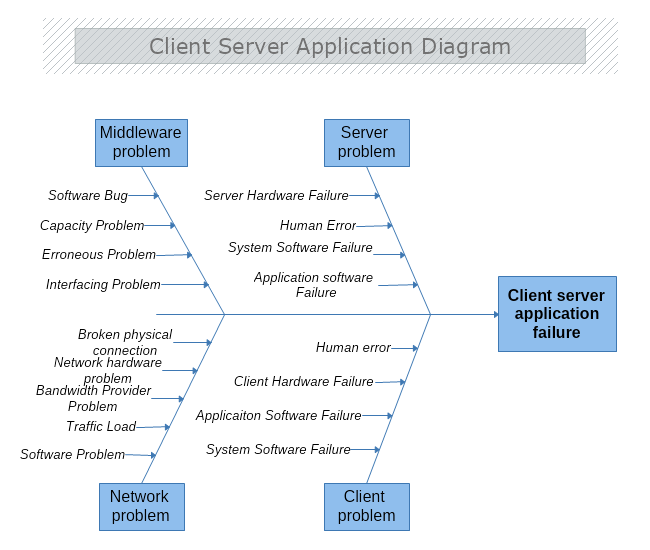 This diagram describes the main reasons for a server application failure. It focuses on four possible problematic aspects that might be causing the unwanted results. Download this free template and modify it with MyDraw so it meets your needs and requirements to avoid any server failure of your application.